In the T10 league, in the second match of the day which was played between Sindhis and Kerala Knights. 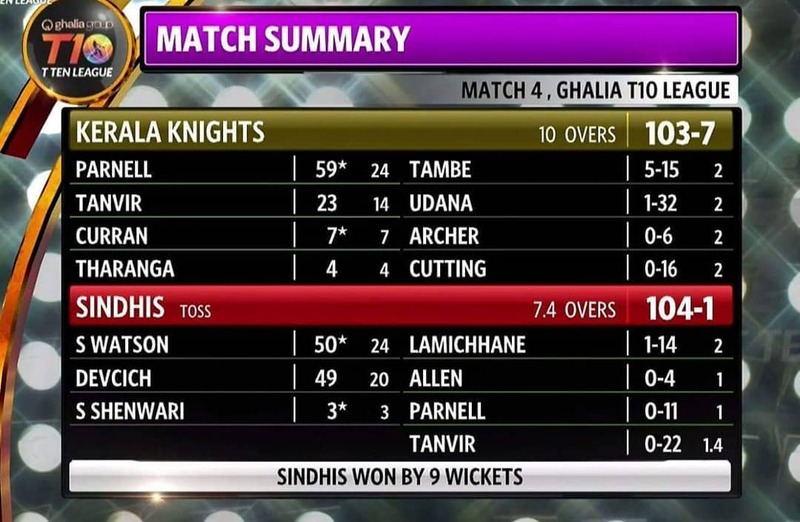 In which Sindhis chased down the target of 104 in 7.4 overs and won the match by 9 wickets. India's 47-year-old spin bowler Pravin Tambe who played for Rajasthan Royals has picked hat-tricks in his first over. 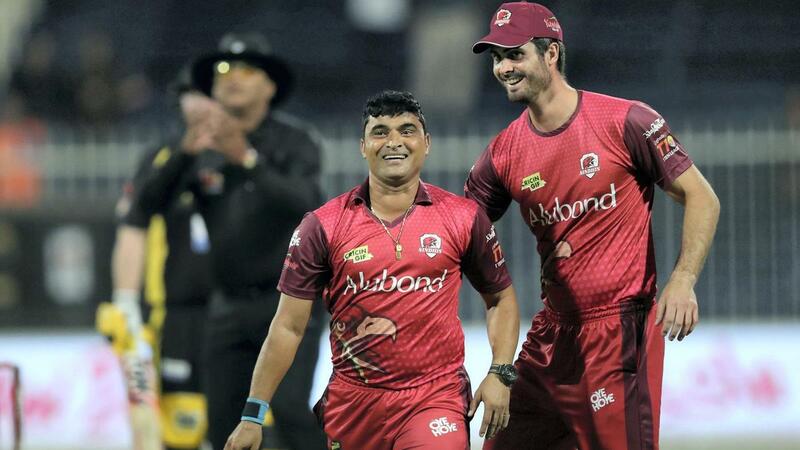 Captain Shane Watson gave Pravin Tambe the first over of the innings, in which he took the wickets of Gayle, Morgan, Pollard, and Allen while he finished with the figures 5/15 in 2 overs. 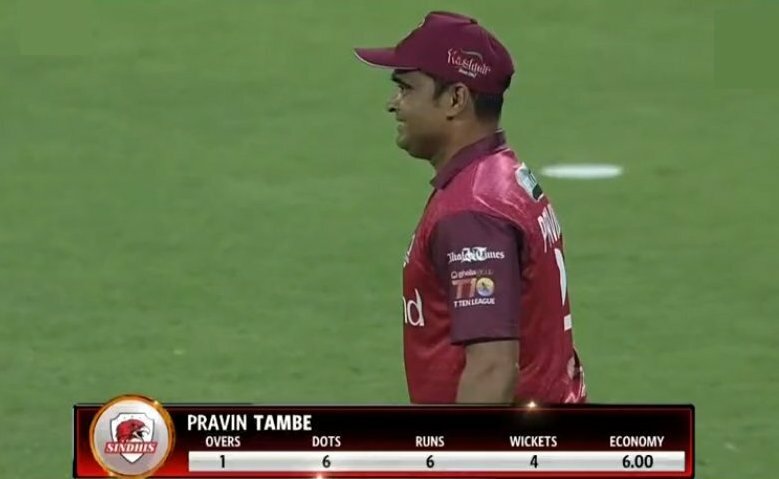 India's spin bowler Pravin Tambe has become the only bowler in the world to take a hat-trick in the first over of the T10 league and first bowler to pick a five-wicket haul in their format.